Garage Doors Store Repairs offers emergency garage door repair service for residential and commercial clients in Culver City, CA community and the surrounding areas as well as maintenance, routine repairs, and new door installation. We have worked hard to build a reputation as being an organization you can trust to keep its promises. You may reach us 24 hours a day, seven days a week to request assistance with any type of garage door need. 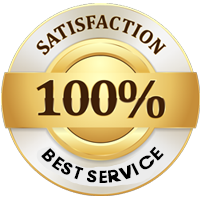 You may think we’re a bit biased, but we can confidently say that our service technicians are among the best the industry has to offer. 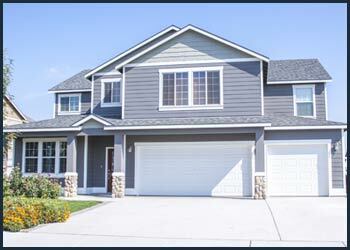 Your garage and its door are a prominent feature at your home or business. It is often the first thing visitors see when they visit you. We know how important it is to you that your garage door look well-maintained, operates in a safe manner, and provides protection from the weather and other outside influences. When people enter your structure through the garage, these things are even more important. At Garage Doors Store Repairs, we get that. It’s never just a garage door to us. While some of our competitors in Culver City, CA rely on sub-contractors who may be undocumented and unskilled, this is not a practice we engage in at Garage Doors Store Repairs. Anyone we send to a commercial or residential job site works for us directly. We always run a background check in addition to checking education and experience credentials before bringing on a new employee. Although technical skills and training are crucial, we feel that a service attitude is just as important. We look for people who want to delight the customer with their superior work. When part of garage door breaks, such as the door coming off track, you may be tempted to do the repair yourself. This is rarely a good idea. Garage doors contain multiple complex parts that all work together to enable it to open and close many times every day. If you perform work incorrectly on one part, it affects all of the others. This means you could end up breaking the door. It also puts you in a dangerous situation if the door suddenly gives way. Although we can appreciate you need the door fixed, remember that you can contact us 24 hours a day for help. Your garage door is made up of dozens of complex mechanical parts. That means it will break down periodically. Fortunately, you can prevent dangerous or untimely breakdowns by schedule a periodic inspection with our company. Our service technicians will look at every garage door part to determine if any of them are severely worn and in danger of failing. Although the appointment doesn’t take much more than an hour, committing to routine maintenance on a regular basis can save you a lot of time and money in the future. At Garage Doors Store Repairs, we know that no two jobs are the same. We may have two requests to repair broken springs on the same day, but that’s as far as the similarities go. Unexpected situations happen all the time, such as deciding to replace your garage door opener when you originally called for spring repair. Also, every private residence and commercial building has different sizes and styles of garages. When you work with us, you can feel confident that we have the tools and expertise to handle any job. This includes making a spare set of garage door keys if needed. 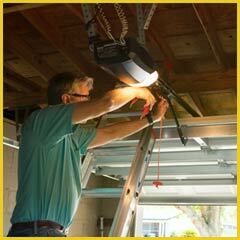 We Provide Emergency Garage Door Cable Repair in the following zip codes.